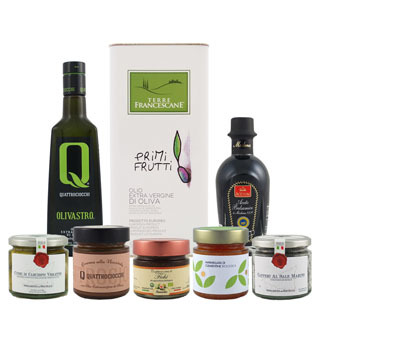 The Terre Francescane Biologico extra virgin olive oil is obtained from a selection of the best organically grown olives from Umbria, carefully selected by Tiziano Scacaroni and certified by the Instituto Mediterraneo di Certificazione. The oil is emerald green and pleasantly pungent with a strong aroma of mature olives and a slightly almond aftertaste, ideally suited to dress vegetables, bruschetta, soups and meats. Made from organic Picual olives of Spain.